This new craze that’s going round, “fidget cubes” and “fidget spinners”. I may aswell be reviewing the inside of a ping pong ball with this one, I mean what is there about these things which is actually worth writing about? Which came first? The Fidget Spinner or the Fidget Cube? Well in my experience the spinner came first, then along came the fidget cube and the kids seem to be going mad for them. A local shop was selling the spinners – guess what…. it was a clothes shop, the dude had bought in a box of these things seeing how popular they were and then he posted on his facebook business page around the area saying he had some in. On reflection this was a quick win for him – although I was dubious about his methods of attracting customers and felt personally that he was just a clothes shop owner cashing in on the kids. 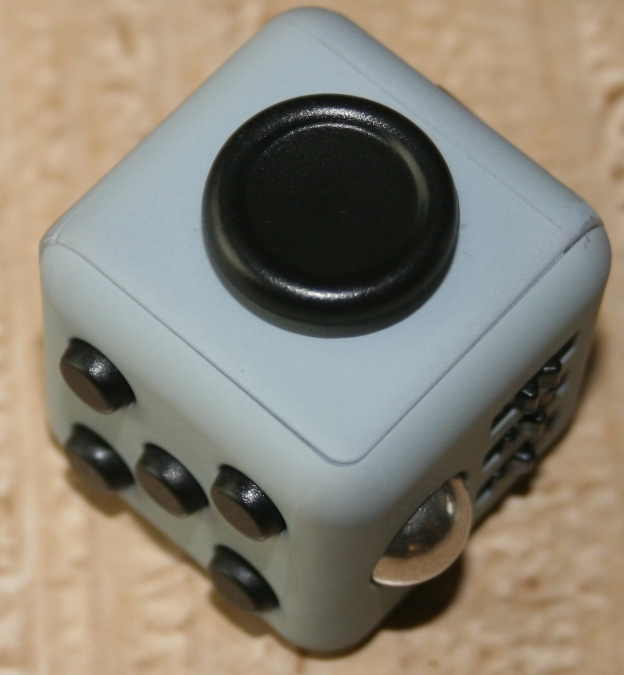 So the above fidget cube has various little buttons on it which can be pressed in to click or slid from side to side into different positions, there is also a ball bearing on there which turns round. On the “top” of the cube there is a large black round and flat button which can be pressed and makes an annoying clicking noise. What is the purpose of the fidget cube? I have no idea and I don’t really care lol. I suspect its mainly the younger generation (ie those below 12 yrs) who are intrigued by these as they make noises and can be fiddled with. However I would guess there is an element of stress relief to using one of these, much in the way people use those squash balls to crush them in their hands whilst they are thinking things over or whatever else. Back in my day we had the Rubiks Cube, which personally I found far more entertaining than these (even though I never solved it – although I can complete it as I memorized a solution from a published book. 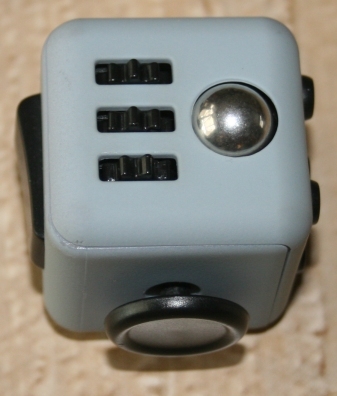 So the sample fidget cube shown above is a great item, but as a concept in general, because I can find much more entertaining and productive things to do with my time than fidgeting with one of these cube type gizmos, I am going to give them 30. They can be irritating as well – sitting next to a kid who is relentlessly playing with one of these whilst you are having your tea or trying to concentrate on a tv program for example can drive you to the point of ultimate insanity!